I love anything that helps keep us organised and was therefore a little bit excited when the lovely people at My Nametags said we could try out their labels. We chose the ‘colour stickers’ which can be used on clothes, shoes, equipment etc. But they also do iron on ones too. Choice- It appears that they have a label for everything! As well as the stickers that we chose, there are iron on labels, mr men/little miss labels.. the list goes on! Their website is so easy to use and our labels arrived the next day! Personalisation- My Name Tags have several options for personalising the labels you choose, from the colour of the background, font and picture. Not only do children enjoy having things that are made personal to them, but it also helps if a child is still learning to read their name. For example, my littlest can’t read but can recognise her newly labelled drinks bottle from the colour of the label and picture. 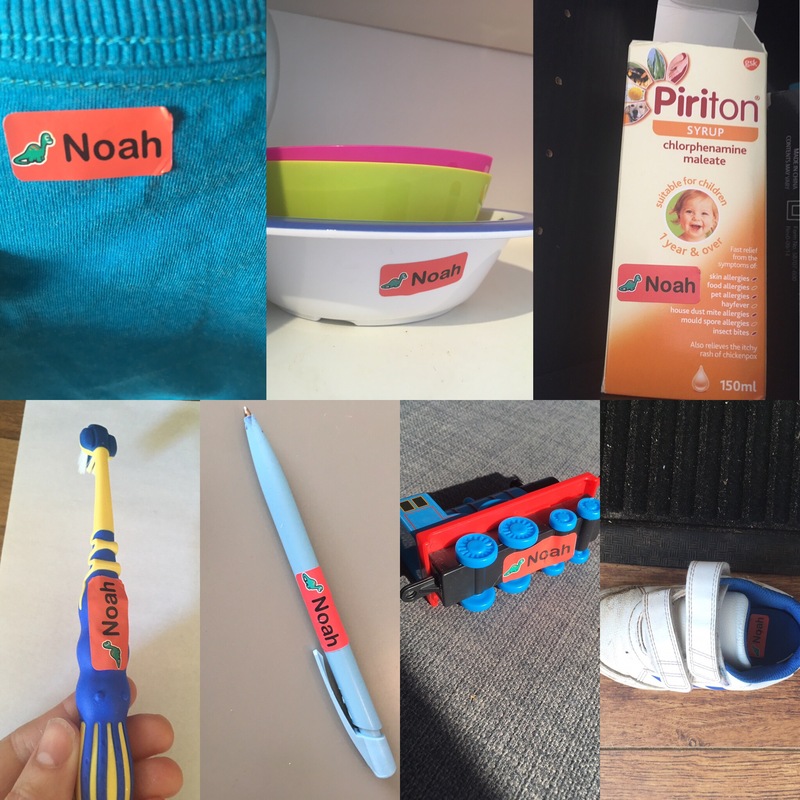 Uses – The stickers have a multitude of uses from sticking on shoes, clothes, drinks bottles and stationary. 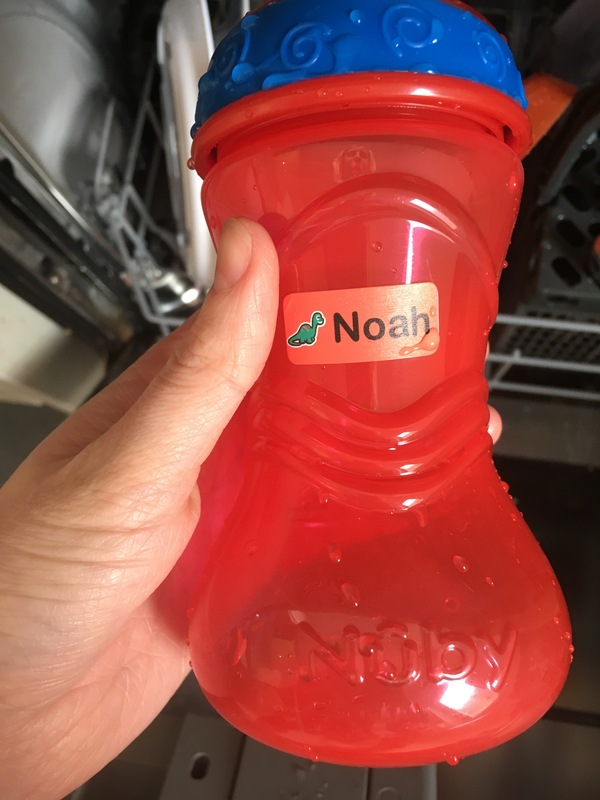 We found sticking it on drinks bottles and lunch boxes particularly useful for children with allergies- to help them avoid eating and drinking other children’s food and drinks. Dishwasher proof– always a bonus! I was amazed with the labels and how they weren’t damaged or worn at all by being in the dishwasher. High quality– Even my littlest couldn’t manage to pick hers off her drinks bottle at dinner times, despite trying! Definitely on my shopping list.